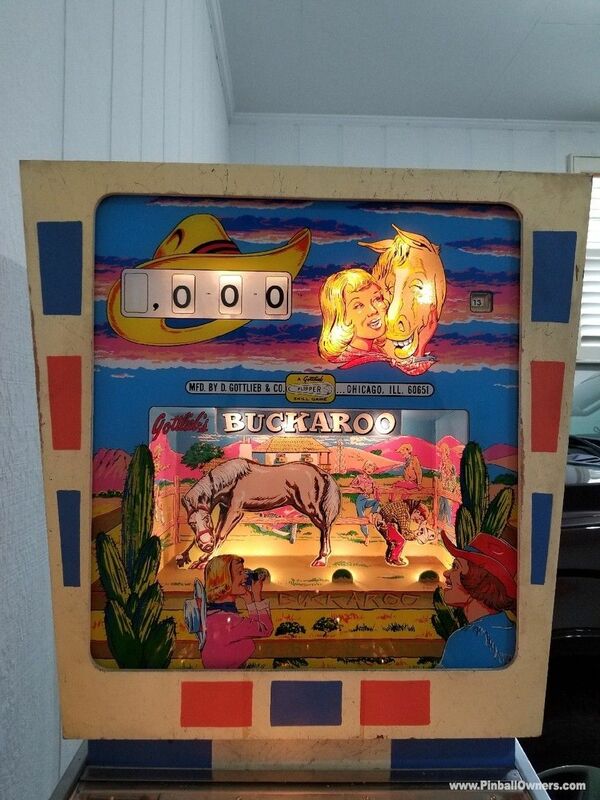 BUCKAROO Gottlieb (USA) Set up, plays! Never Great unrestored machine. Only a few minor issues with some rollovers that don't score, but I'll be fixing all those issues very soon. 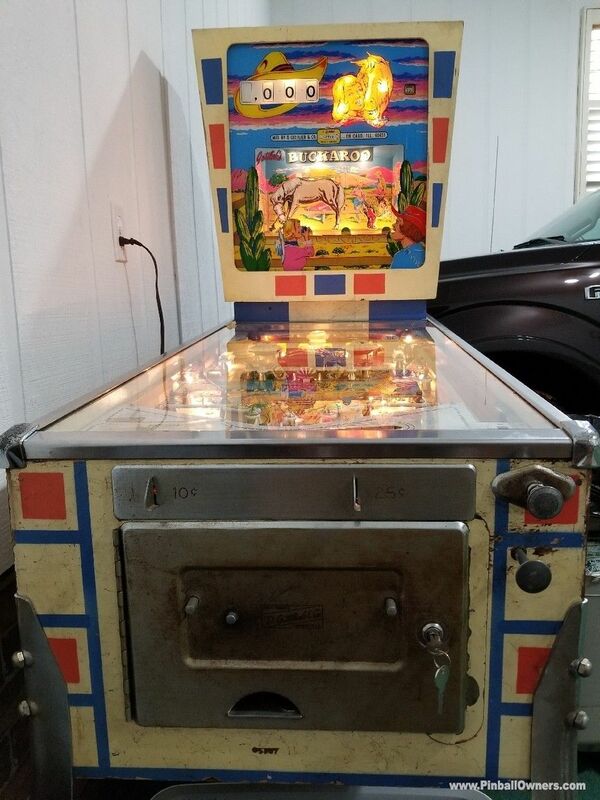 Playfield, backglass, and cabinet are all 9.5 out of 10. It even has several wads of chewing gum that people had stuck to the underside of the cab, just like I would do when I played this machine in the arcades of the 60's and 70's! 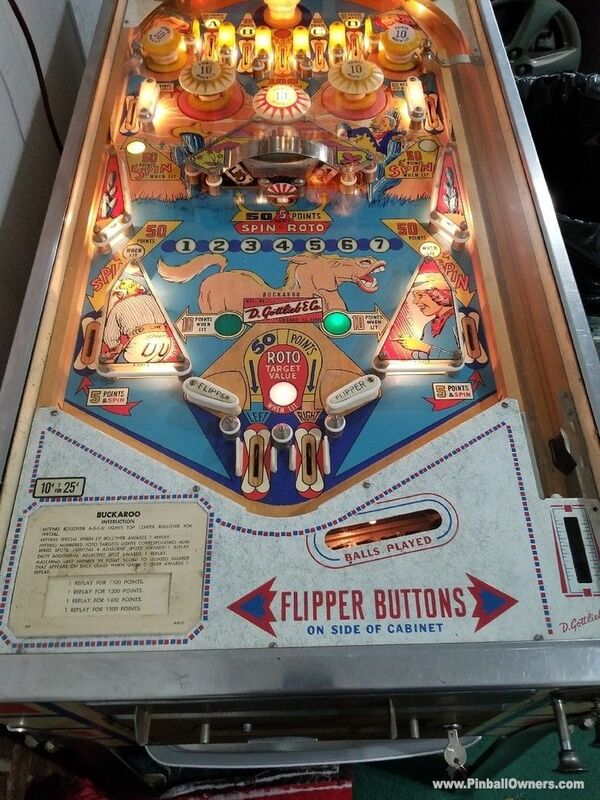 DISCLAIMER: This page shows the pinball machine Collection of PinballOwners member zilla from Anderson, SC, USA. 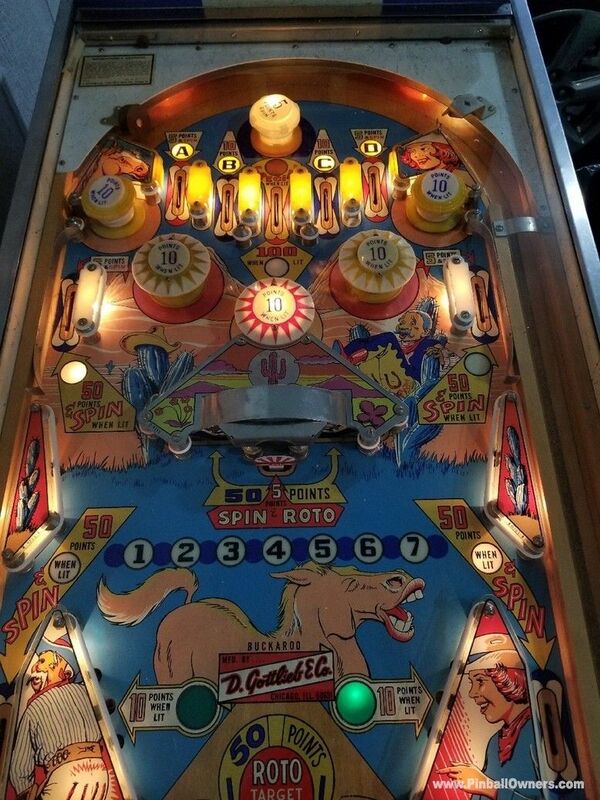 The coin operated pinball machines listed above, including their images, were uploaded into our database by zilla himself; zilla is the sole responsible for the information contained in this page. The pinball machines shown above are not necessarily for sale! Please refer to the 4th column in the list to know whether a certain pinball is for sale or not. 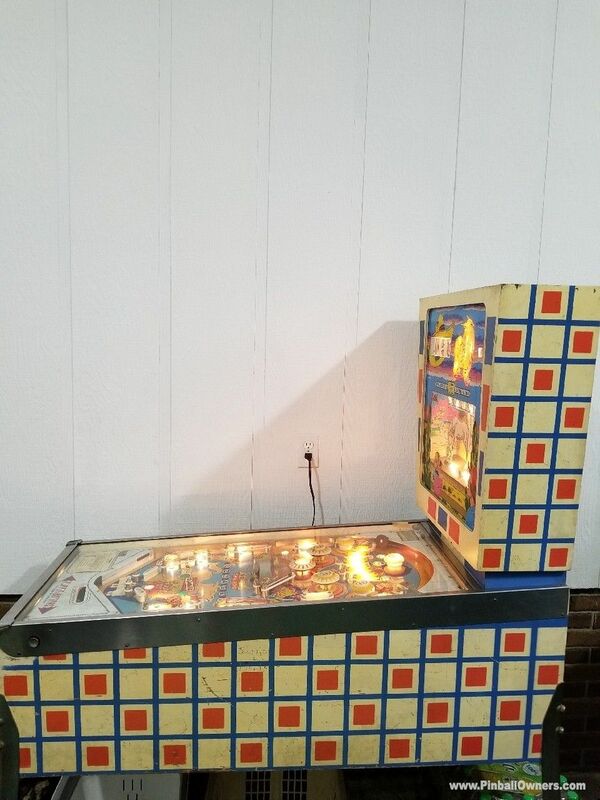 Most likely zilla's pinball machines are second-hand (used) pinballs that were once installed in bars and other public places; their value as a collectible largely depends on appearance and functionality of every single machine. Leave a comment on zilla's pinball Collection, that will be shown to all visitors of this webpage! We would like to inform you that links to other sites, e-mail addresses or telephone numbers are not allowed in your comment: if you are trying to contact the Collector, please use this link instead to send a private message to zilla. Also please keep in mind that this is not eBay, and you cannot use this space to leave feedback about a transaction that happened between the two of you. If you use the form above to send a private message to zilla, your message will be rejected.